The Breast Course for Nurses is in Harare for a week. We have a very busy week! 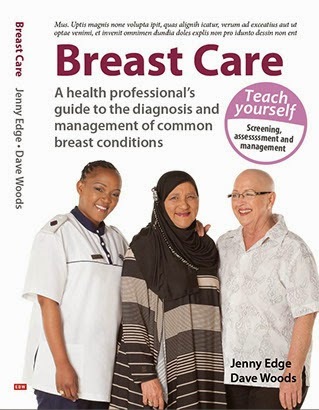 If the Breast Course for Nurses is to be sustainable, it has to be able to be taught without any of us from Cape Town being involved. The first course taught in that fashion is being taught in Johannesburg. Dr S Nietz is running the course. We are rolling out that programme so the project is self sustaining in Zimbabwe. On Monday, we had the inaugural train the trainers programme run by the Breast Course for Nurses. Prof Woods (PEP foundation) and I ran the day. The morning was spent discussing different modes of teaching. We stressed the importance of teaching being viewed as a method to transfer knowledge and enable understanding. Teaching a mixed group of students, as we do in the Breast Course for nurses, is always a challenge. At the beginning of every day, we spend time finding out who the students are and where they are from. Our course is based on a student based style of learning. We are faculty: our job is to provide relevant material in an understandable format and help with understanding. Dave Woods has been involved in distance learning for the last 20 years. He gave many suggestions as to how learning could be made more interactive. HIs ideas included study clubs, quizzes, role play, case studies, assignments, games and music. The discussion extended into the use of technology to promote intertactive learning: Facebook, sharing SMS messages, Whatsapp groups and Skype. In the afternoon we gave some of the candidates 3 slides and asked them to give a micro lecture. We covered 16 different topics and we were amazed at the professional level of the presentations. We were all filmed while we lectured. Dave Woods went through the video and extracted examples of us teaching well and not so well. It is very tough to look at your self lecturing! We ended the day by involving the students for the course the following day. They were given a lecture to prepare for the following day to present to the students attending the Breast Course for Nurses.